The following is an excerpt from the Book of Orden, taken from the Tome of Oen-Mar, volume 237, verses 78–89. Few names strike more terror into the hearts of men than that of the theed. Believed by most to be little more than a myth, the theed legend has been fed by their isolated culture and warlike nature. The theed civilization is entirely subterranean, existing in a vast network of underground hives, which the theed call the ‘Ylara’. The Ylara is mostly situated within the Grekarian Mountains, however there have been confirmed offshoots as far as the western Calambrian seaboard and the Vyala Mountains in the north. Beyond the Ylara, interaction with the theed has been virtually non-existent. While isolated occurrences have been known, interaction with the other races of Oberyon has been limited to the sh’a, and the calterians, who inhabit the neighbouring Oravian Jungle. Theed civilization acknowledges a single tribe, the Dhu’wa, broken into five major clans: the Nakajara, the Wekadja, the Amaja, the Pnara, and the Urungu. A sixth clan, the Uroani, was wiped out during the fourth War of the Clans, around the eighth century AS. While there have been instances where the clans have united under a single chieftain (most notably Roka the Fierce of the Nakajara), the clans mostly govern themselves independently, with inter-clan disagreements generally settled in battle. These outcomes are considered final, with both sides bound by the terms of the victor. From the earliest age, the theed are raised on battle. No societal distinction is made between males and females, though their fighting styles tend to differ. The males utilise great strength and power, while females are trained to use speed, with emphasis placed on endurance. The theed communicate telepathically. Words are used only for expression and emphasis, the way non-telepathic races use hand gestures. With little use for words, theed telepathy is not constructed out of phrases and sentences, but rather from a combination of mental images and shared feelings, known as ‘tj’aka’. This enables the communication of complex ideas very quickly. A theed’s telepathy comes from the thin and wiry tentacles that cover their crowns. Highly sensitive to energies in their immediate environment, these tentacles can detect fluctuations in energy currents, whether they be the thoughts of a living being or the vibrations of the natural world. These signals are relayed to the theed’s mind in the form of images. Much of a theed’s time is spent in a state of pure silence known as ‘yo’tja’, which roughly translates to, ‘No word. No thought. No feeling.’ This state of mental silence is looked upon as a sign of great strength by the theed, with emphasis placed on suppressing those emotions and thoughts which do not project power. Often, a physical battle can be avoided by the superiority of a theed’s yo’tja alone. Truth and honour are high ideals in theed culture. They view humans and the other speaking races as weak for disguising their intentions and desires, calling them ‘angali’, which translates as ‘slides with tongue’. At the heart of theed culture is the promise of Gen D’tha (Gien Datha in Kingdom-Tongue), the lost, ancient homeland of the theed which they were forced to abandon. According to theed prophecy, a great warrior will be born who will reunite the clans for the final time, and show them the path back to their homeland. The theed honour only one god, Aryamen, the patron of warfare and battle. Upon death, those theed who are judged honourable by Aryamen will be delivered to Gen D’tha. There, they act as custodians, sending their spirits back to the mortal world to guide the living. 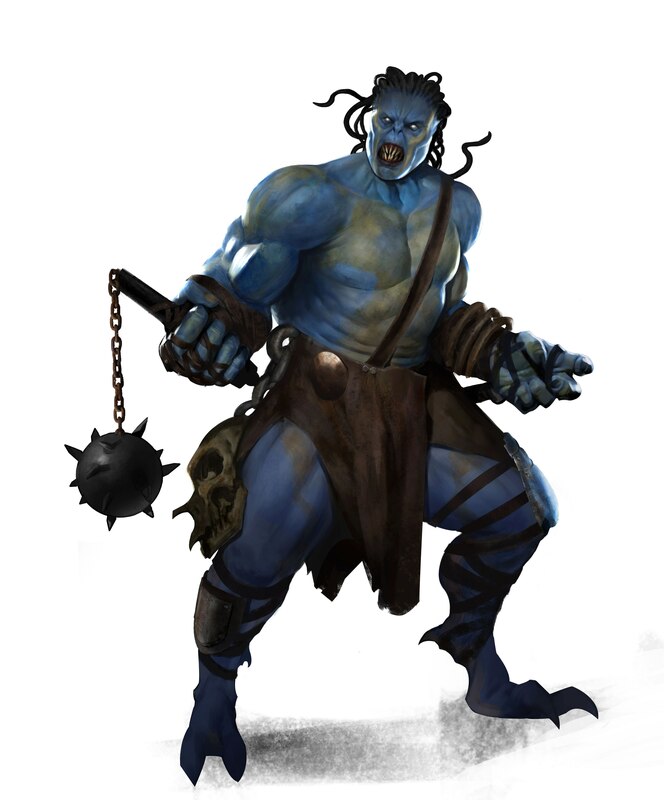 Those who Aryamen judges as weak or dishonourable are sent to Yak’ma, an underworld ruled by malevolent spirits. It is out of fear of Yak’ma that the theed observe a strict maximum depth when expanding their hives, stretching for miles underground so long as it doesn’t mean venturing deeper. The following additional notations are taken from the Tome of Psar-Lan, volume 4, verses 33–36. The year 4270 AS saw the theed venture above ground in large numbers for the first time in history, combining for an assault on the human city of Bordel. Within weeks, the attack was followed by the destruction of the towns of Hamil Brook and Sone. The number of theed involved in the assaults is yet to be determined, but indications are that the five clans have once again been united under one leader. On the 24th day of Fourth Month 4270 AS, the same night word reached Syrentium of the attack on Bordel, a lone theed emissary arrived in the capital and requested an audience with Regent Harlo Brecan. Upon meeting Regent Brecan, the emissary announced the theed’s intent to invade Syrentium. It is understood that the theed now believe their fabled homeland of Gien-Datha to lie beneath Syrentium. There is also evidence the theed were present during the destruction of the Monolith of Tia, implying an alliance with the Kah Brotherhood (see the Tome of Sh’o-Nai, volume 85, verses 6–13). At the time of writing, it is unknown whether the theed will follow through with their threat to invade Syrentium. Nor is it known where their erroneous belief concerning Gien-Datha’s location originated. However, in light of recent developments, the timing of these events cannot be overlooked. The sudden theed attack, combined with their involvement in the destruction of Tia, suggests they are the victims of darker manipulations. I fear the theed may have at last forgotten their own wisdom and ventured too deep into the world.